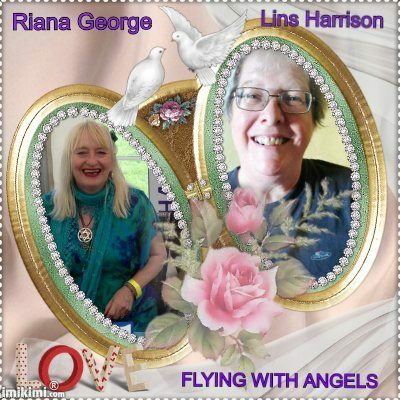 Welcome to Flying with Angels website which runs alongside Flying with Angels podcast hosted by myself Lindsey Harrison ( Lins ), @lins .Riana George @riana. Riana and I share free mini intuitive Angel card readings on the show Flying with Angels every three weeks when possible. We also like to share spiritual information, and things we have experienced help others make sense of things on a spiritual path. We are also very grateful for the donations from the friends of Cathies Distant Echos to allow Cathie’s dream of sharing knowledge to continue. It is also with grateful Thanks and appreciation to Chris Times for all her help, support, training and understanding. With much love to all who travel to this page, your guardian angel guided you here. Host and Founder of Flying with Angels.